​When I go on holiday, I tend to plan the whole thing in detail – maybe too much detail. My hiking plans tend to be looser. I book the places to stay in advance, but the rest is an undignified scramble. Sometimes, like my trip to the devil’s punchbowl, this works out well. Others, like not buying walking boots for the South Downs Way, can be more painful. And I always end up carrying a heavy pack with too much food. I’ve got a bag of nuts with me on the Pennine way that I’ve walked 200 miles with, simply because I never check ahead and see there are more than enough places to buy hot food on the way. Books on hiking recommend some practice hikes to get an idea of how far you can walk. I initially based my distances on accounts of WW2 POWs. I mean, if they could walk 16-20 miles a day after years of malnourishment, I could follow the twenty mile a day schedule in the south downs way book. Most of my planning goes on clearing the decks so I can disappear for a few days. I’d planned to buy waterproofs and a new rucksack before the next Pennine way stage. Instead I squandered the preparation time writing work emails. 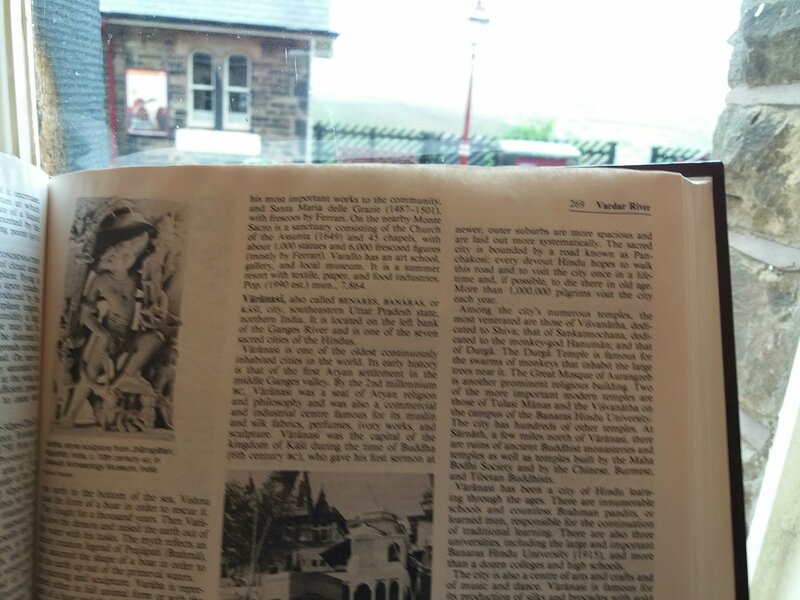 I was quite lucky on my first Pennine way sections as I read the Rambling Man guide beforehand and realised it was a slightly more challenging path than the ones in Sussex. I bought maps, although not proper waterproofs. And then, the night before setting off, I realised I’d not packed suitable trousers, and had to drive to a 24 tescos megastore. As my current walk approached I found myself rushing through a to-do list. I wonder if I should maybe take my laptop or not go at all. I had a horrendous drive up the M1 the night before, and the drive to Hawes was grim – my car started bleeding in a service station car park. 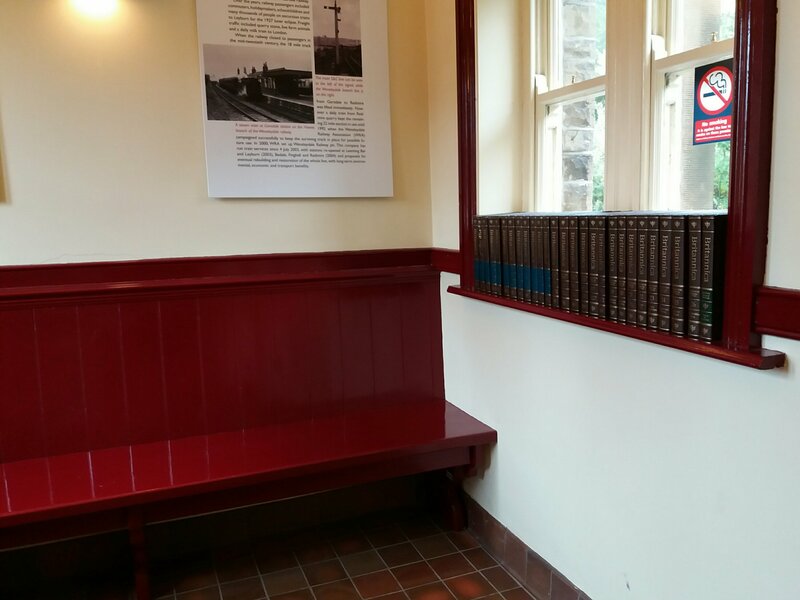 No, the station had a cosy waiting room. And, to make it even better, a complete set of the Encyclopedia Brittannica. I read the entry on Varanasi. “The sacred city is bounded by a road known as Panchakosi; every devout Hindi hopes to walk this road”. While I’m not religious, this is the hike I’d most like to do. 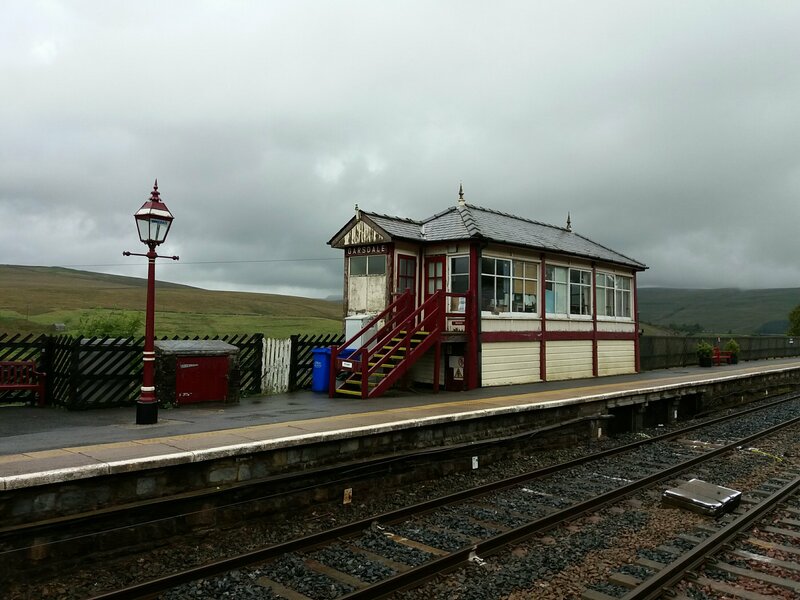 Another great thing about Garsdale station was the statue of a dog. 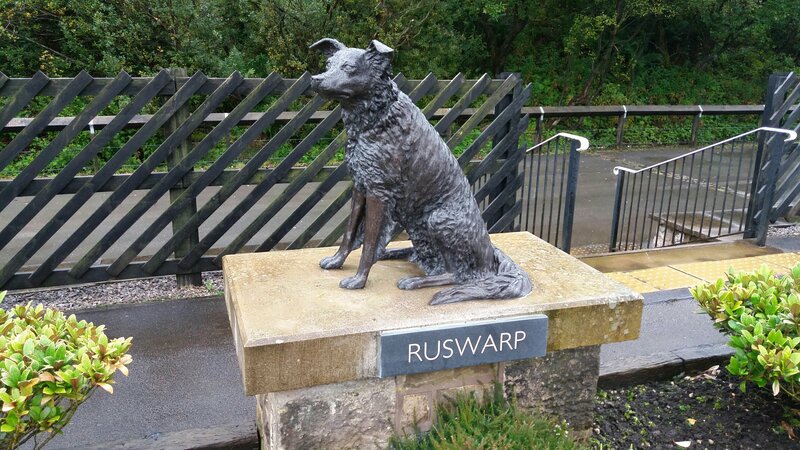 Ruswarp was the mascot of the campaign to keep this station, and had even legally signed the petition, the pawprint accepted since he was a paying customer. Ruswarp’s companion Graham Nuttall died in a mountaineering accident in 1990. Ruswarp stayed with his body for eleven weeks in the depths of winter. The world would be a better place if there were more statues of doggos and fewer of generals. While I was in the waiting room, someone on the other platform called to me. 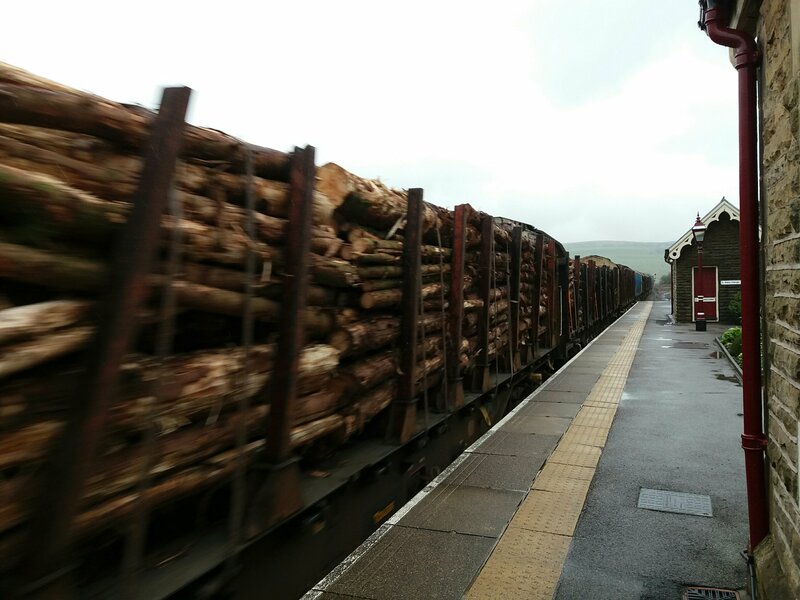 They said that, in six minutes time, a lumber train would be coming through from Wales. I came out to see it, pressed myself against the wall as the train hurtled through. As the air filled with the scent of timber, I wondered what type of trees these were. I daydreamed about changing careers, to become an FBI agent investigating crimes in quiet places like this. Life is good.